On July 25, 2017 life for Dehetia “D.J.” completely changed. At football camp with his high school team, while doing what he loved, in making a tackle during a scrimmage game, D.J. found himself unable to move. D.J. suffered a spinal cord injury and is now living with paralysis from the waist down. D.J. was one of the leaders of his football team and is loved by his coaches, teammates, and peers at school. He often mentored younger football players. Currently D.J. is a senior in high school. He is still very active in a different capacity with the football program and is now very active with the local children’s hospital. He is President of the Teen Leadership Council and is determined to turn this tragedy into a positive. He is striving to find purpose in why God allowed this to happen to him. He wants to inspire and encourage other young people to follow their dreams and not let obstacles get in their way. 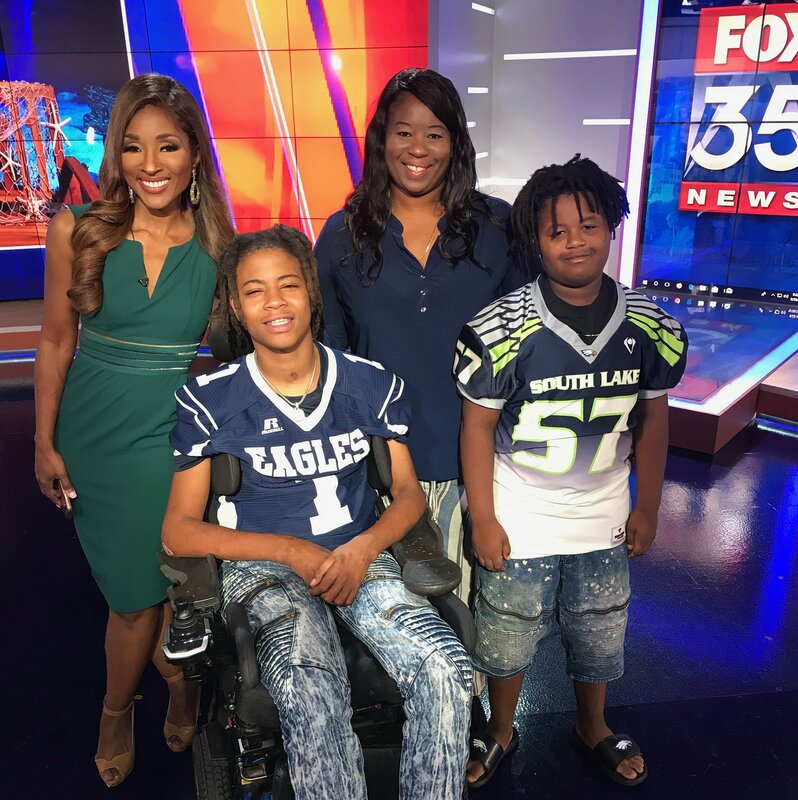 Family and friends of Dehatia Myers are raising money for the nonprofit Help Hope Live to fund home modifications and pay for wheelchair accessible transportation so D.J.’s dream of outreach to others can continue. Dehatia has chosen to fundraise for Help Hope Live in part because Help Hope Live assures fiscal accountability of funds raised and tax deductibility for contributors. Contributors can be sure donations will be used to pay or reimburse medical and related expenses. To make a tax-deductible donation to this fundraising campaign, click on the Give button. Here is local coverage of DJ’s number being retired.